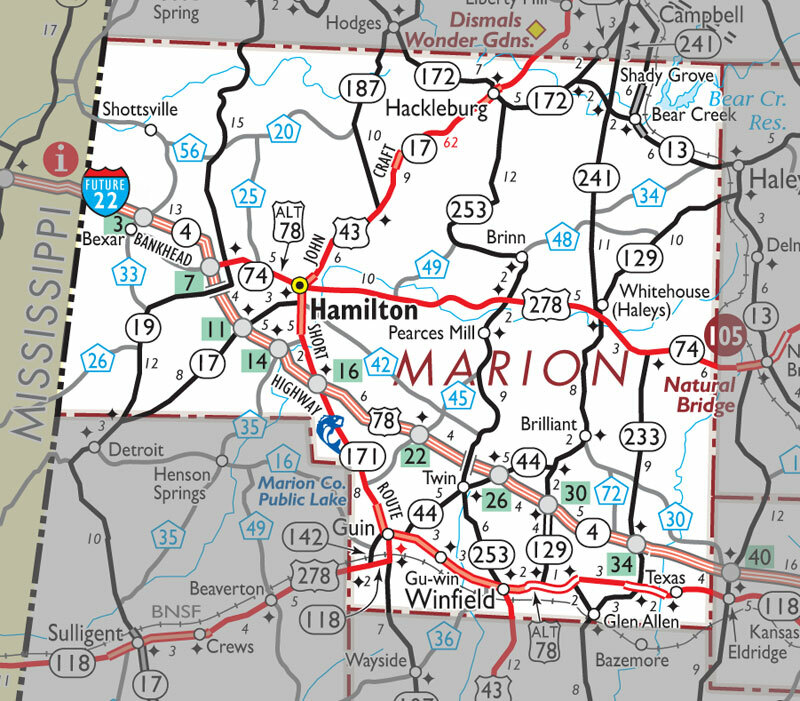 Marion County was established December 13, 1818. It was named in honor of General Francis Marion of South Carolina, a Revolutionary War hero. Marion County covers approximately 743 square miles, lying in the northwest corner of the state of Alabama. It is bordered on the north side by Franklin County, east by Winston and Walker Counties, south by Fayette and Lamar counties, and on the west side by the state of Mississippi. Currently the Sheriff’s Department services over 31,000 people that reside in the county. In 1820, the City of Pikeville was named the county seat but it later was moved to Hamilton in 1881. Marion County has several festivals that take place throughout the year in some of its beautiful towns including: Octoberfest and The Jerry Brown Arts Festival which takes place in Hamilton, Mayfest in Guin, Coalfest in Brilliant, Mule Day in Winfield, and Neighbor Day in Hackleburg.